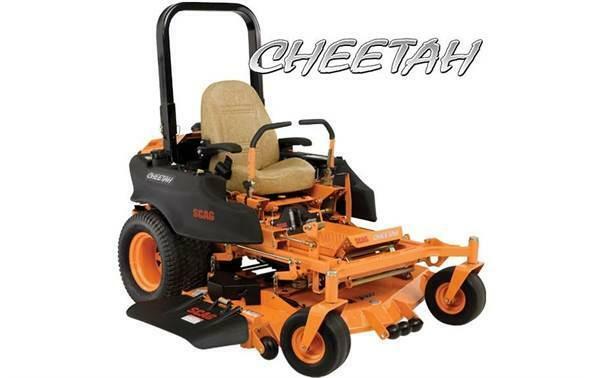 From the heavy-duty, Tri-Plate Velocity Plusâ„¢ side discharge cutter decks and the 61" Velocity Plusâ„¢ Rear Discharge Decks, to the various high-power engine options, there's a Cheetah that will increase your productivity and leave your competition in the dust! Choose a 61" or 72" Velocity Plusâ„¢ cutter deck and match that with a Kawasaki FX series, Kohler EFI or Briggs Vanguard Big Block engine. Weight: 1385 - 1400 lb.